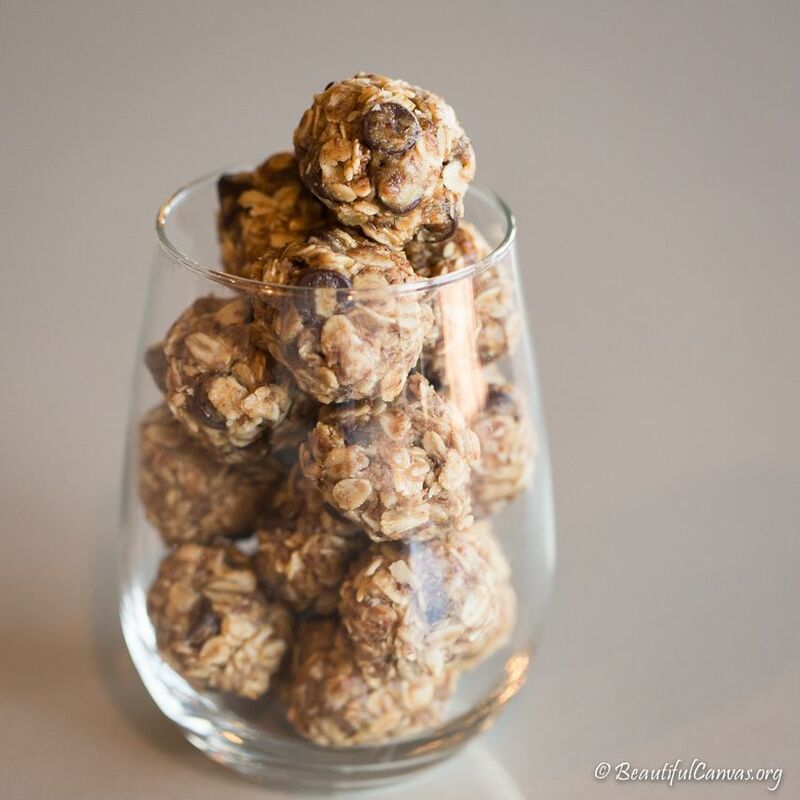 When I was a kid, my mom often made peanut butter balls: 1/2 cup peanut butter, 1/2 cup honey and 1 cup powdered milk mixed together, formed into balls and refrigerated. I LOVED peanut butter balls, emphasis on the past tense because Lauren is allergic to peanuts so we do not keep peanut butter in our home. Recently, I have been wishing for peanut butter balls so I searched online for a soy butter or almond butter recipe that would satisfy my craving. Apparently the peanut butter ball has morphed into something much more sophisticated! Enter flax seeds, chia seeds, protein powder, etc. 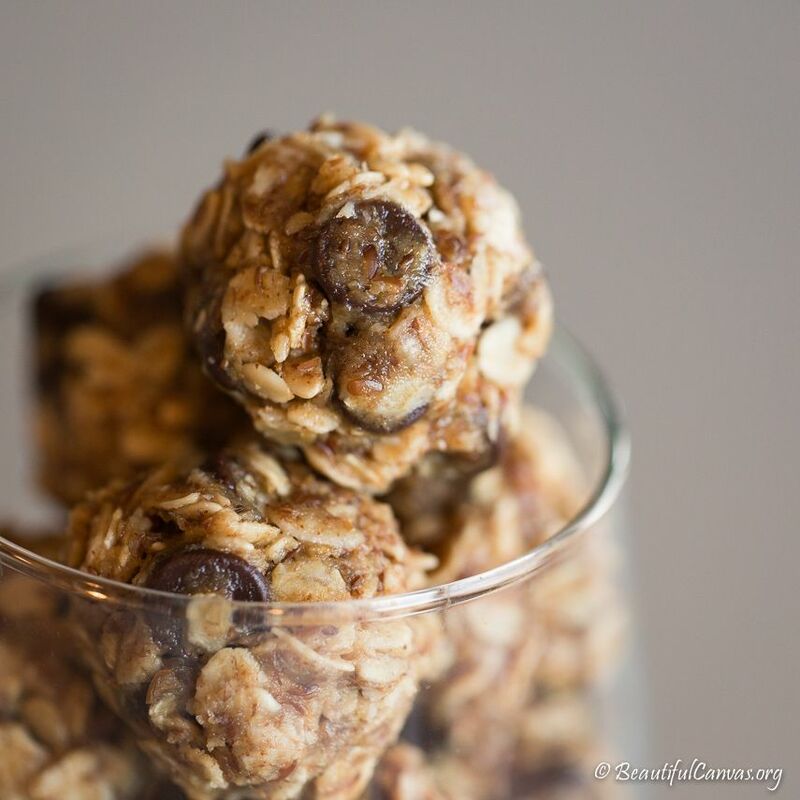 Mix all ingredients, refrigerate and when cool form into balls. If you have trouble getting the balls to form, you can change up the ingredients to get the desired consistency. Keep refrigerated.